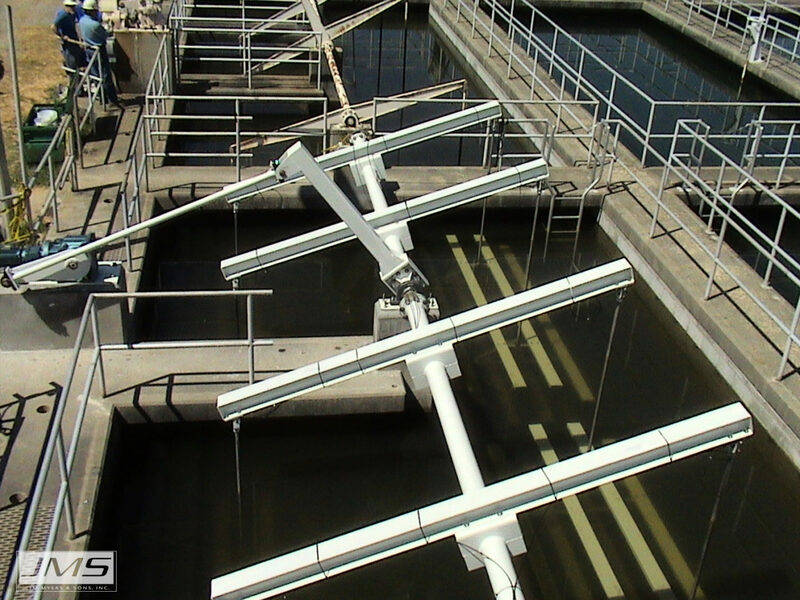 When process needs demand optimum flocculation performance, JMS offers its Mega-FLOC (Walking Beam Flocculator). 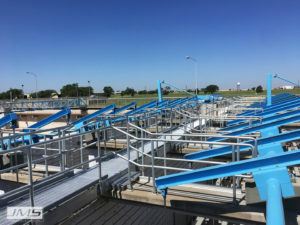 One of the most effective and reliable systems available today, JMS walking beam flocculators combine vertical and linear movement to maximize Brownian motion, encouraging floc formation in the basin. 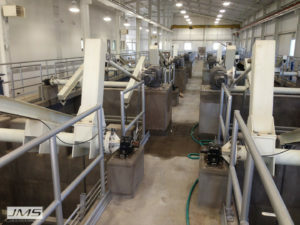 The risk of mass rotation, common to impeller style systems, is eliminated, as are laminar flow and short-circuiting. 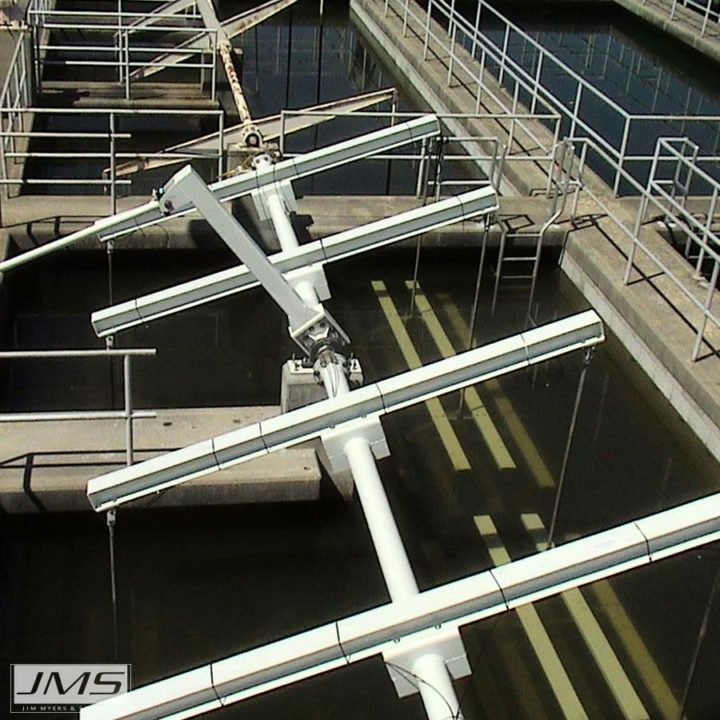 JMS has provided more (Walking Beam Flocculator) than any other manufacturer and has the proven, proprietary knowledge to design a system to meet your needs. 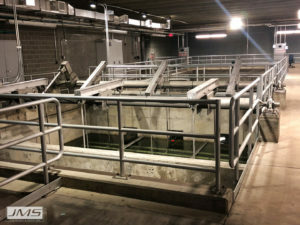 To help create the unique Mega-FLOC (Walking Beam Flocculator) movement JMS has added heavy duty roller bearings located above the water level. 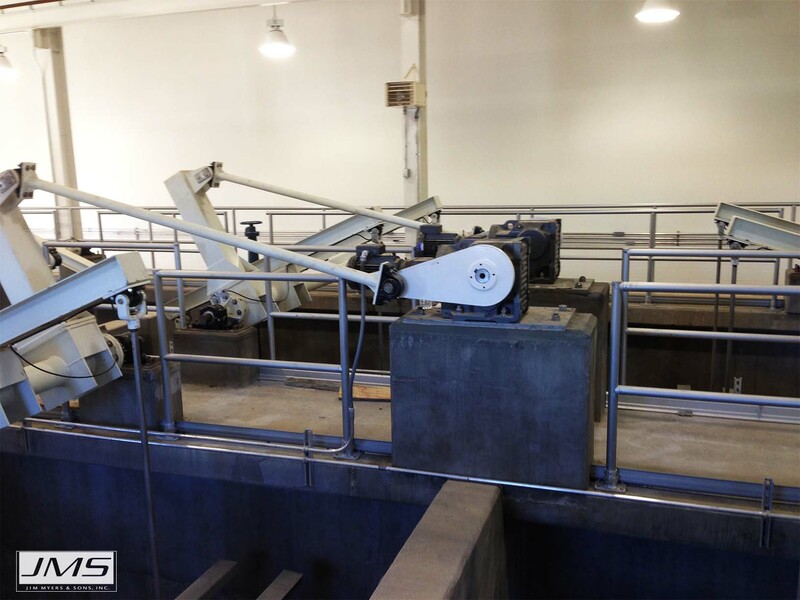 The JMS Mega-FLOC (Walking Beam Flocculator) also uses pillow block roller bearings in the drop arms allowing for complete movement in the system which optimizes flocculation. 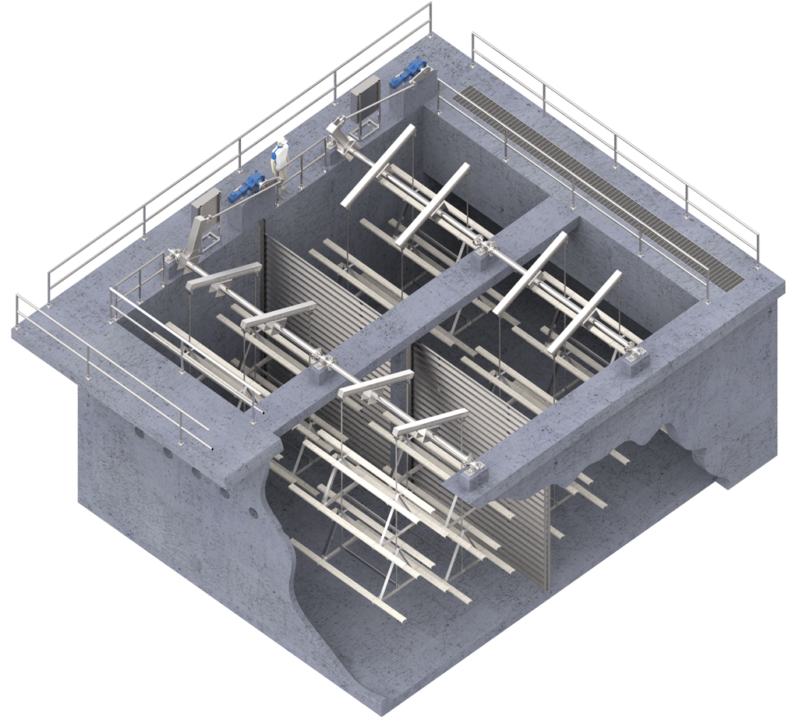 The paddle assembly is designed specifically for each basin to allow the optimal flocculation. The Mega-FLOC (Walking Beam Flocculator) is well suited for basins with high depth to length ratios. 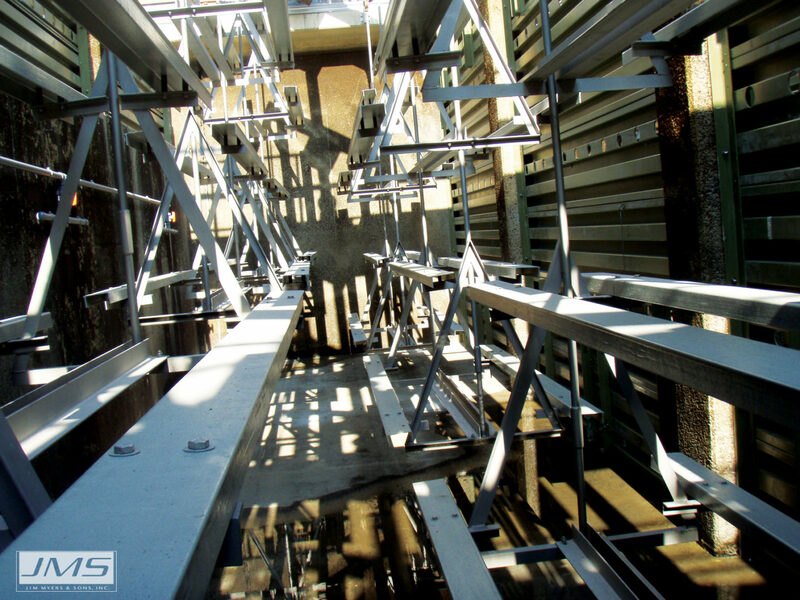 The length of each beam is determined by geometry required to achieve process requirements. 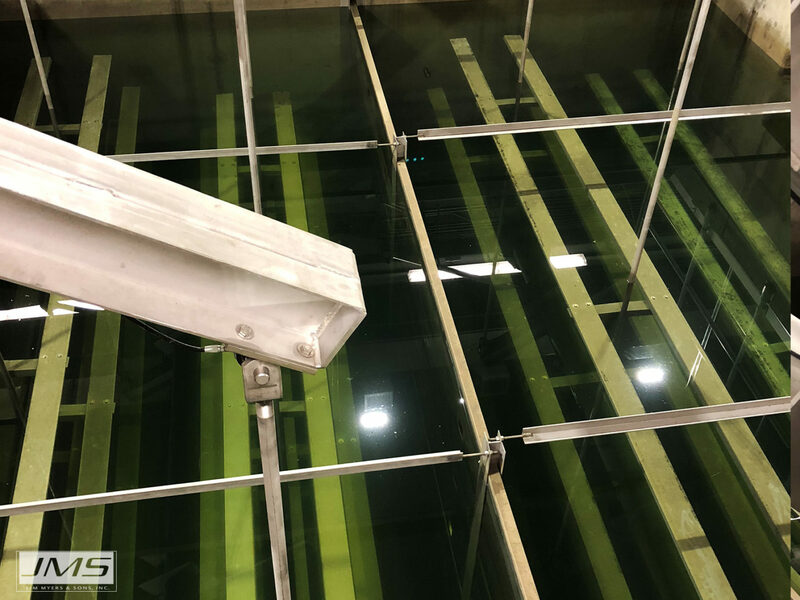 JMS Mega-FLOC (Walking Beam Flocculator) uses reciprocating vertical paddle motion to achieve the wide range of velocities needed to maximize flocculation. 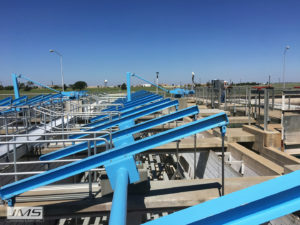 Linear paddle velocities vary cyclically from zero feet per second to an adjustable maximum rate deemed ideal for effective solids flocculation without risk of floc shear. 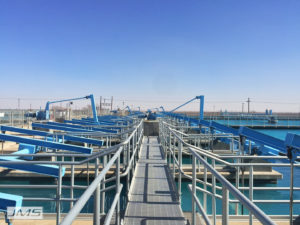 An upstroke suction lift on the bottom of the basin prevents floc fallout and aids in seeding the newly forming floc, while a downstroke generates turbulence to aid the production of robust floc particles. 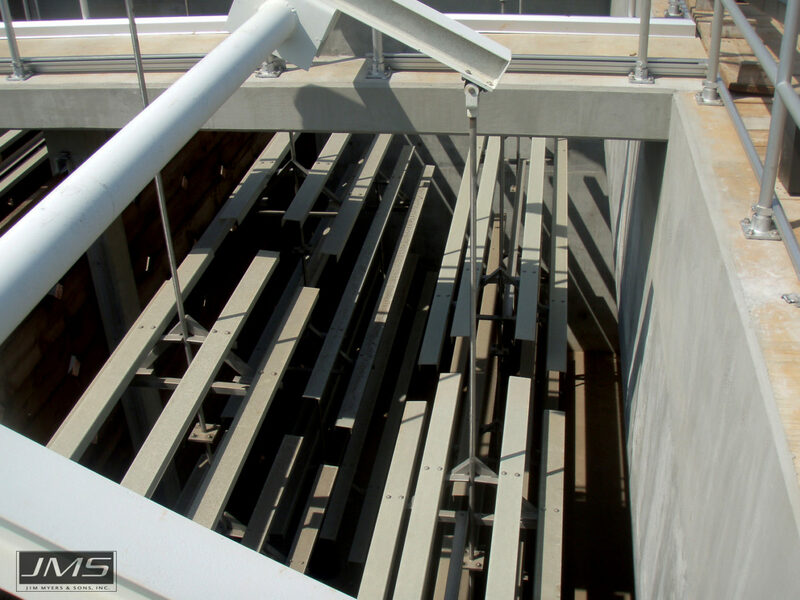 As motion is continuously transmitted to all areas of the basin, dead spots are eliminated. Bearings are unquestionably the silent workhorses of any complex piece of equipment and JMS has taken special care to upgrade this component for full-time operation. 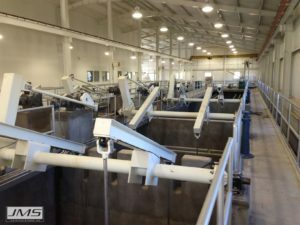 To achieve the unique Mega-FLOC (Walking Beam Flocculator) oscillating stroke, all motion is transferred through heavy duty roller bearings located above the liquid level. Drop arms are connected to both ends of a series of walking beams by clevis and pin connected to a pillow block roller bearing. The walking beams, spaced laterally on horizontal drive shafts, are mounted on piers by self-aligning bearing assemblies. 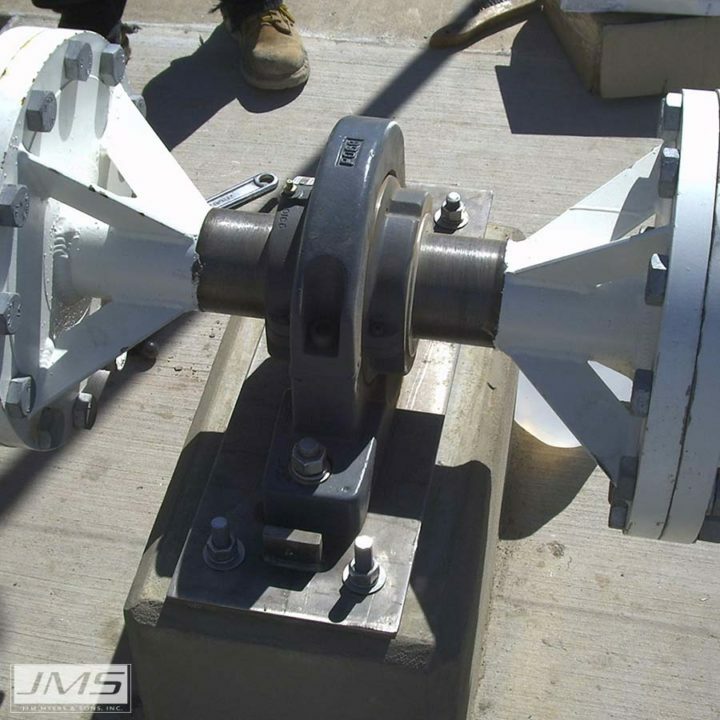 Pillow block roller bearings (used on both walking beams and connecting rods) are anchored using stainless steel baseplate assemblies. The Mega-FLOC (Walking Beam Flocculator) design features proprietary split cast SS journal bearings with UHMW-PE or bronze liners (for high grit applications). 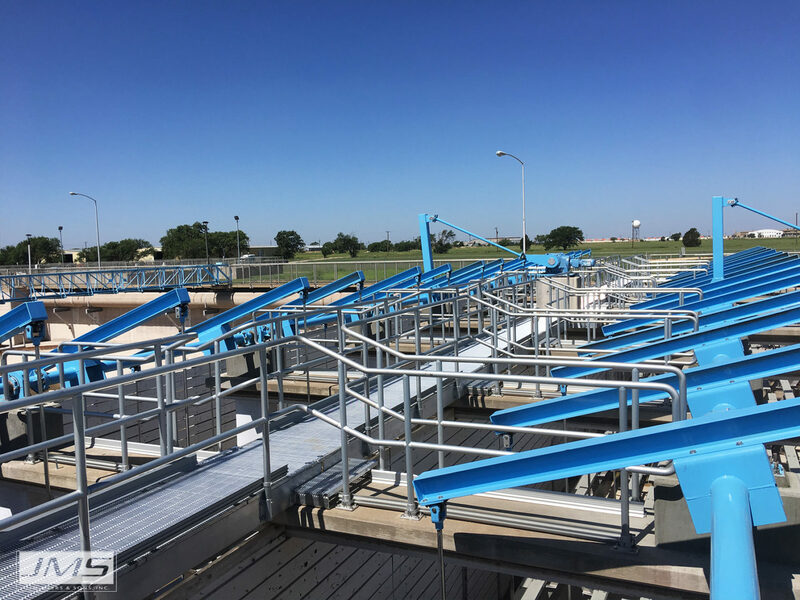 This component selection offers each plant the aesthetic appearance, low life cycle costs, and durability they are looking for. All bearing assemblies come mounted on a base plate with proprietary leveling assembly for accurate alignment. The town of Quitman, AR is located in the picturesque Ozark Mounains. 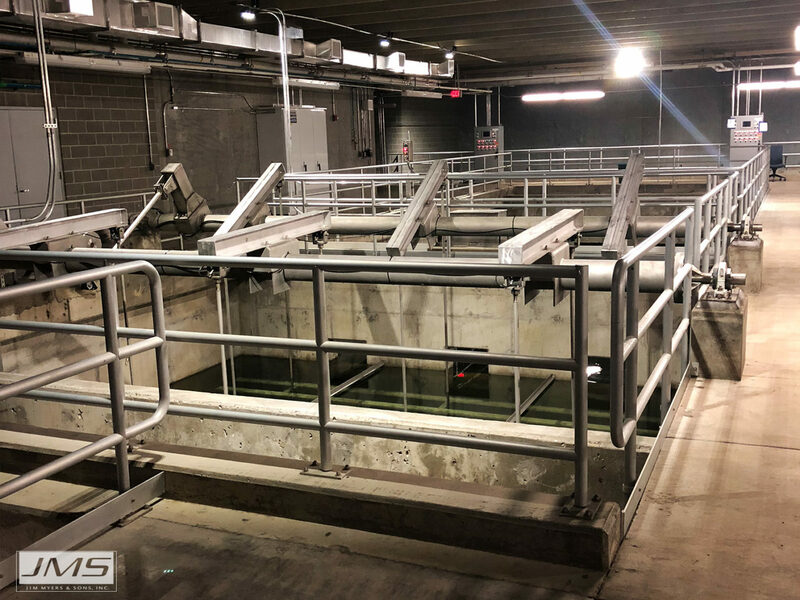 Known for great fishing lakes and streams, the area’s abundant surface water provides adequate intake capacity for the Lonoke White Water Treatment Plant. 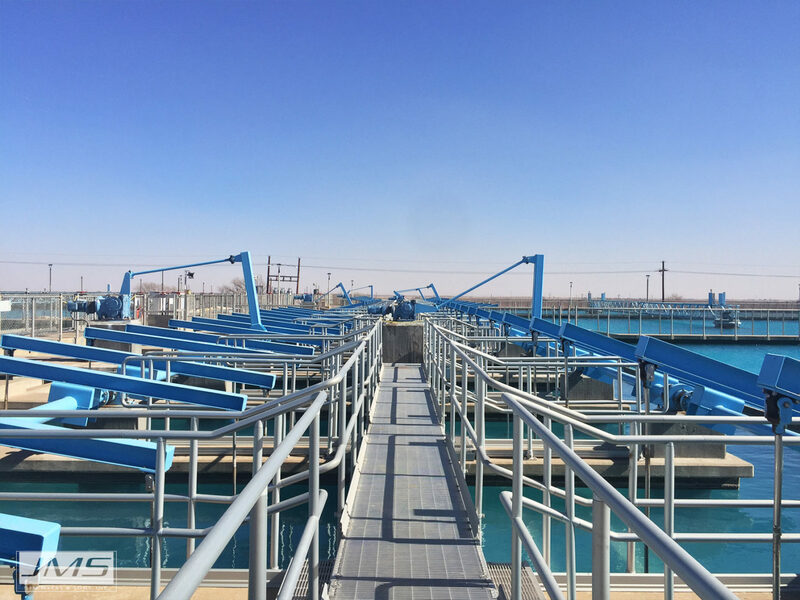 With the need to service 80,000 residents and a vision for growth, groundbreaking for this new 10 MGD water plant took place in 2010. 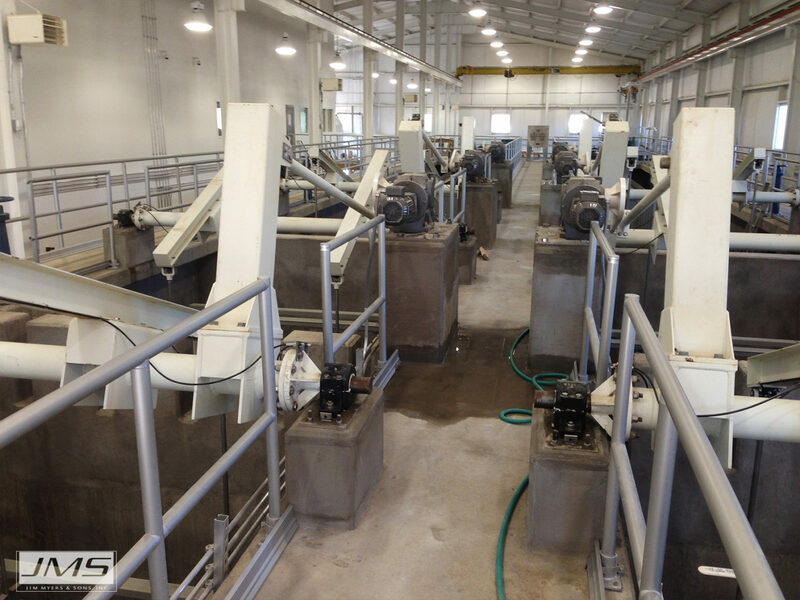 Under the professional guidance of Crist Engineers, equipment selection was made based on supplier qualifications and experience. 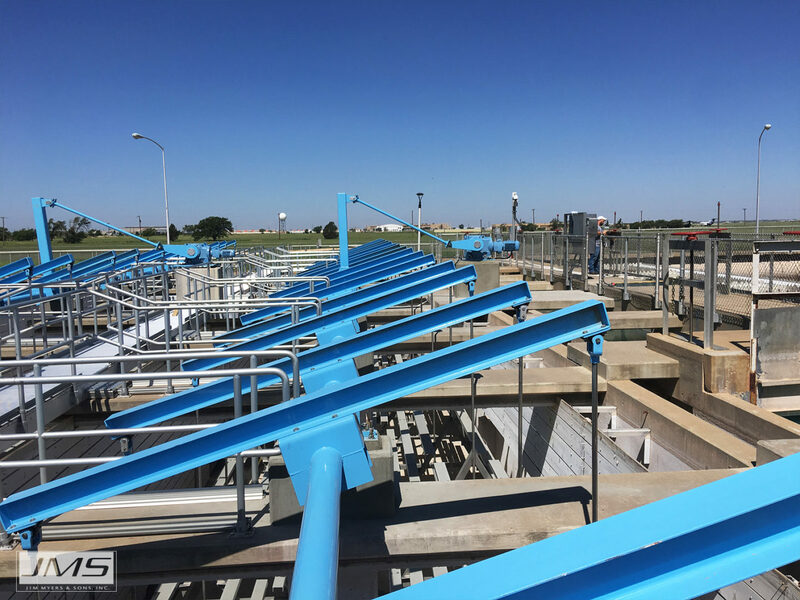 JMS, with plenty of both, also had the advantage of working with the engineering firm on another successful Arkansas project. When all the bids were in, JMS was asked to supply their Mega-FLOC (Walking Beam Flocculator) and Mega-SETTLER Plate Settler System. 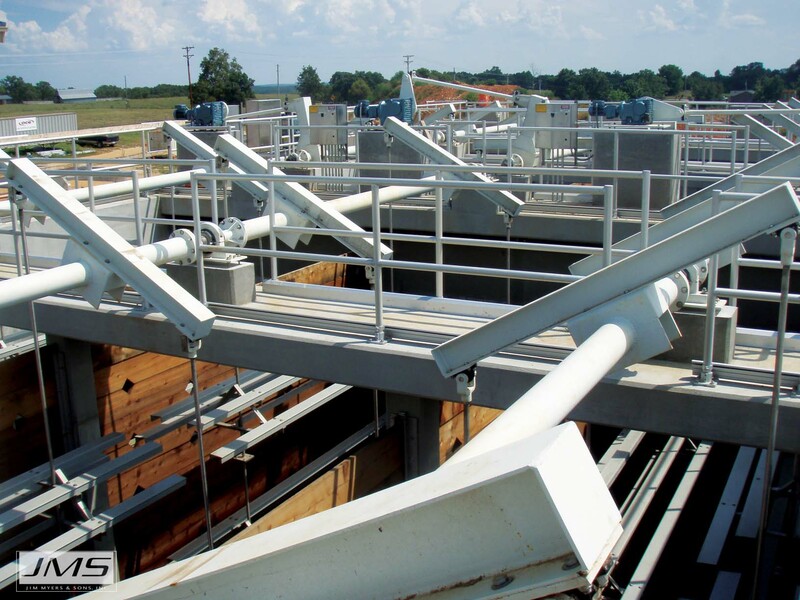 Now in full-time operation, Lonoke White Water Project is considered a great success. Plant manager David Liles, brought in to run the operation, expresses his pleasure with the low maintenance nature of the JMS equipment. 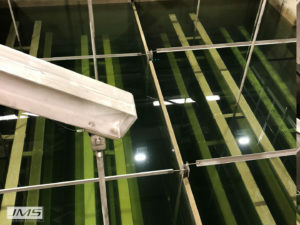 He has found he prefers the low shear mixing action of the Mega-FLOC (Walking Beam Flocculator) over the rapid mix units he had worked with at another plant. With the durability of JMS equipment, this plant looks forward to years of trouble-free performance.